CityView’s Sean Burton discusses the effect of an increased supply of multifamily units and explains why higher interest rates could spur more development. Rising interest rates are one of the real estate market’s soft spots. The increase of the Federal interest rate led to numerous forecasts, many of which report the anticipation a decrease in transaction volume and units coming online. Sean Burton, CEO of investment management and development firm CityView, shared his view on the matter with Multi-Housing News. MHN: Supply is expected to peak this year. How will this impact the market? Sean Burton: Although there may be an influx of multifamily housing supply at the national level, which could result in less rent growth in certain areas, in the cities where CityView invests—densely populated, urban locations with strong job growth and severe housing shortages—we believe there is still plenty of room for appreciation. In fact, in many of those markets, such as Los Angeles, it will take years for supply to catch up with demand. MHN: Construction financing is harder to find. Will this mean that development will slow down as well? Burton: We are not experiencing difficulty obtaining financing for our projects because the markets in which we invest possess strong job growth, an influx of millennials, and urban renewal. Because our lenders understand that our projects will be met with strong demand when they are delivered to the market, they are willing to provide construction financing. Obviously, in areas where the market dynamics are different, construction financing will be more difficult to come by and will slow development down. MHN: Do you think the rising rates will trigger more investment or less investment? Are investors in a hurry to avoid the next increase or are they waiting to see how rising rates impact the market? Burton: When interest rates will rise and by how much are obviously a concern for everyone as it directly affects the economics of a project. However, trying to predict when those moves will occur is a fool’s errand. I don’t think rates will rise dramatically overnight, but rather will slowly creep higher over the course of the next several years. Also, if rates are rising because the economy continues to heat up, that will drive more jobs and higher rents. As such, all we can do is continue to focus on our core urban markets and be rigorous in our due diligence as we select the projects in which we will invest. If we do that, we can still create value for our investors regardless of the interest rate environment. MHN: How will rising rates influence real estate prices? Burton: As a general rule, rising interest rates make it more difficult for people to buy homes, regardless of the actual price of the property. When this happens, there is increased demand for rental properties and this can be a very positive development for the multifamily housing industry. 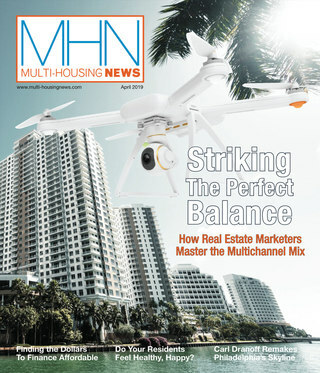 MHN: Multifamily demand is expected to be robust for the next five to 10 years, while rent growth is slowing down. 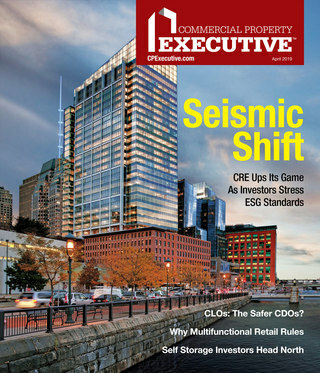 What should we expect from the multifamily market in the future? Burton: We believe that rent growth has a lot of running room in our core urban markets simply because these areas are in desperate need of additional housing. In these places, even when new supply comes online, it is just not enough and rent therefore continues to increase. Overall, rent growth may see a slowdown to a more stable pace in the coming years, but as I alluded to earlier, it will very much depend on the specific market.